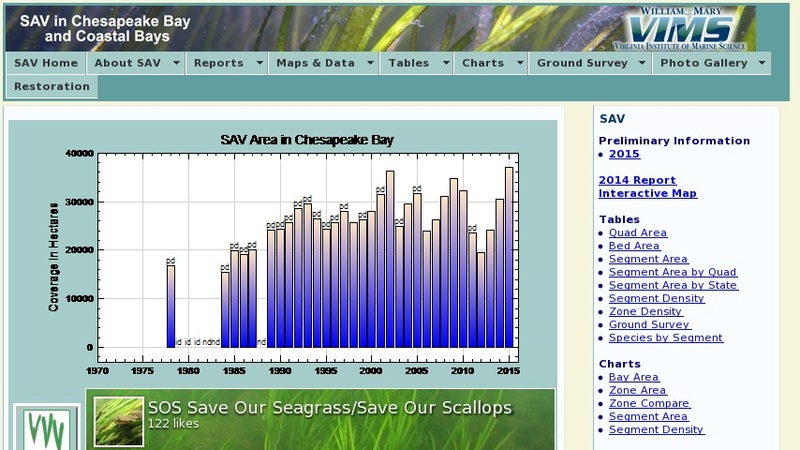 A one-stop-shop that addresses the submerged aquatic vegetation (SAV) habitat requirements, current research, relationship between SAV and water quality and SAV and living resources. Site features links to aerial photography and modeled data, as well as groups who focus on restoring this integral resource. Provides lists of publications where the reader can gain a tremendous amount of information on SAV.